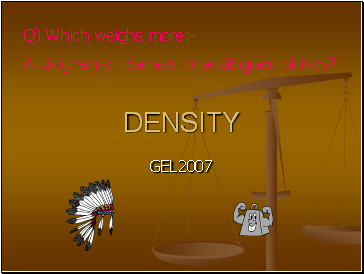 A kilogram of feathers or a kilogram of iron? 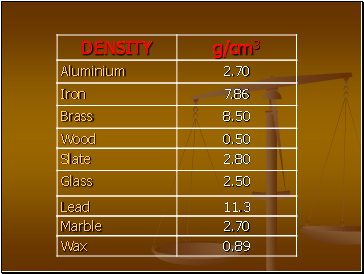 If you take the same volume of different substances, then they will weigh different amounts. 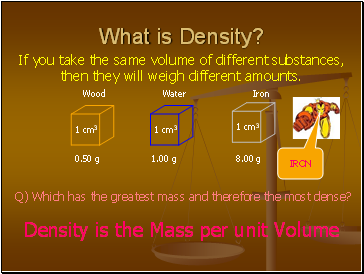 Q) Which has the greatest mass and therefore the most dense? 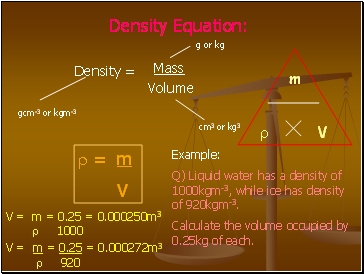 Q) Liquid water has a density of 1000kgm-3, while ice has density of 920kgm-3. 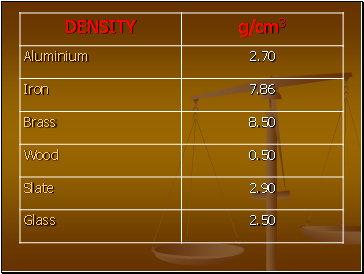 Calculate the volume occupied by 0.25kg of each. 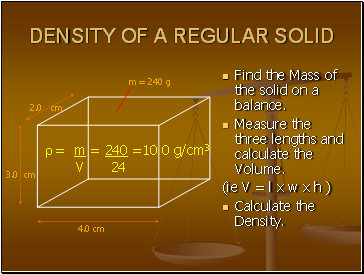 Find the Mass of the solid on a balance. 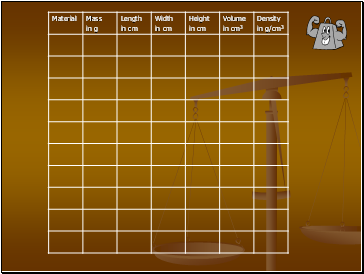 Measure the three lengths and calculate the Volume. 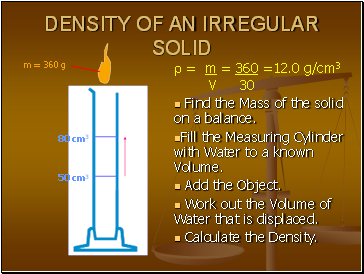 Fill the Measuring Cylinder with Water to a known Volume. Work out the Volume of Water that is displaced. 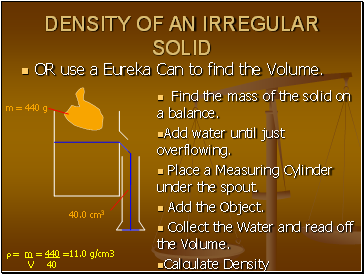 OR use a Eureka Can to find the Volume. Add water until just overflowing. Place a Measuring Cylinder under the spout. Collect the Water and read off the Volume. 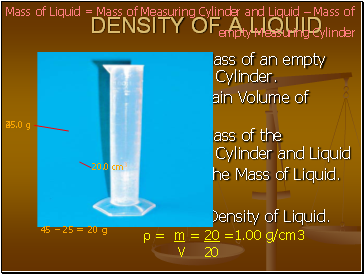 Find the Mass of an empty Measuring Cylinder. Add a certain Volume of Liquid. Calculate the Mass of Liquid.